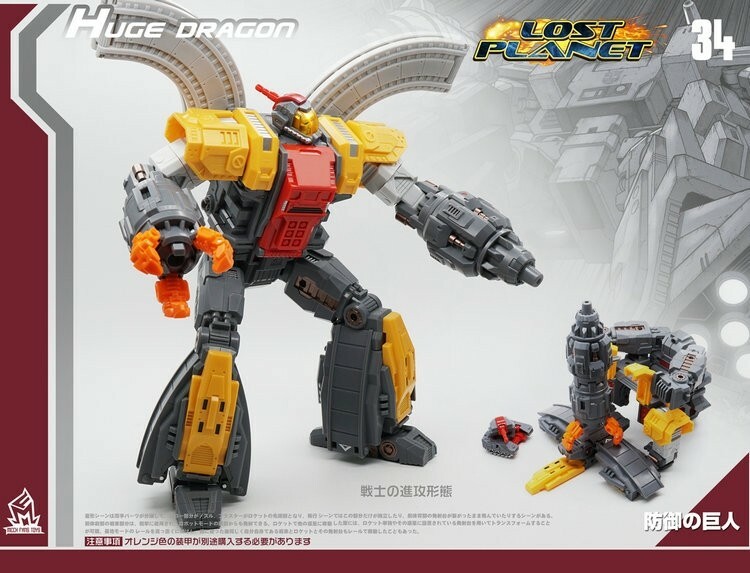 Anyone purchase these from Mech Fans Toys? Oversized copies of the DX9 versions! I think I'm going to purchase these and maybe other characters! I got a few figures from them, I still need their Galvatron. 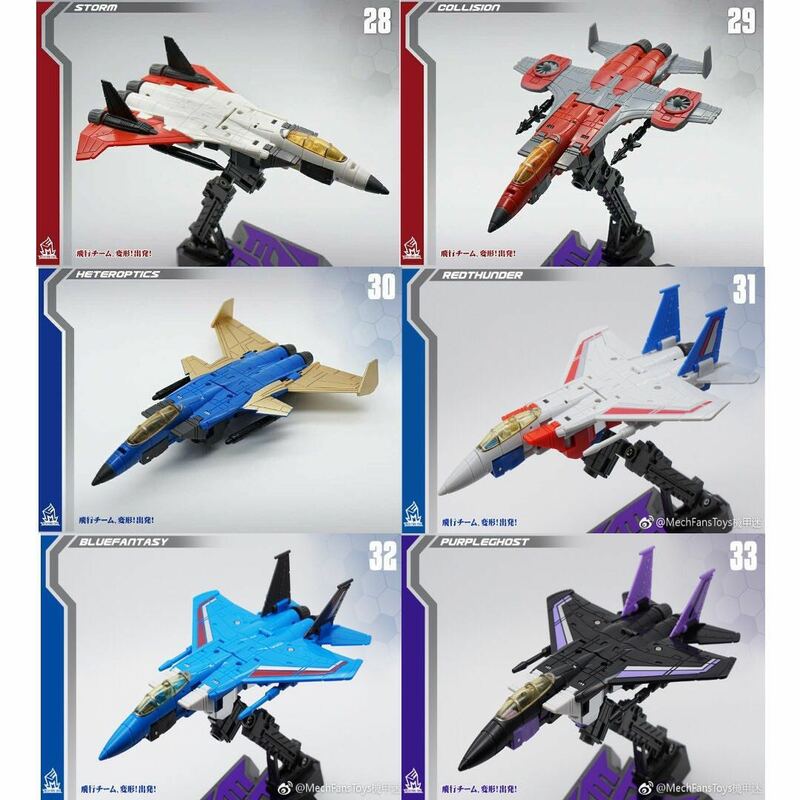 I'm definitely getting that Starscream. How big are these? Deluxe size? In what form? In robot form (4.5 inches) I think they are a tad shorter than deluxe but bigger than legends. In plane form they're bigger than say Dreadwind in plane form. They are excellent, but ive heard of some people having the joint between the forearm and upper arm break on some of these figures at the root of the joint where the ball joint is. I recently got both the Seekers and the Coneheads sets. I like them a lot. They are the only MFT figures I have, but they made me want more and I have ordered a MFT Megatron. I figured for under $85 CAD ($14 a figure) for both sets, they are worth it. 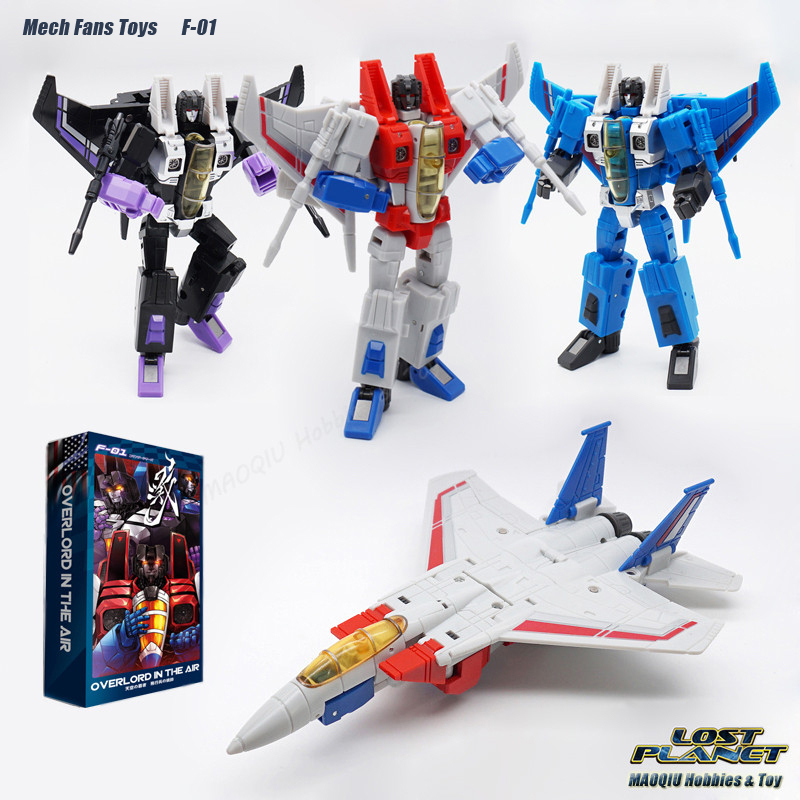 There isn't too many reviews on them but one guy compared them to the hasbro classics universe deluxes that I am searching for and they're just a tad shorter in robot form but i'm hoping they're the same size in plane form! I just ordered this guy too! Last edited by ngnaw; 08-15-2018 at 08:43 AM. I love mine and those Diaclone armors that come with some of the figures is a nice bonus.